For digital enthusiasts, especially Apple fans, the most enjoyable thing is watch all kinds of videos on iPhone 5S/5C and iPhone 5. I’m still thrilled that the iPhone 5S is in my hand now, after waiting for such a long time, you know. Everything is quite amazing, but the only problem is that it does not play the movies I collected (avi files). How do I convert AVI format videos to this wonderful smart phone for playback? Thanks. AVI is the most popular video format because of its high quality picture, compatibility with multi-operating systems and media players, so a great many videos come with AVI format. If you want to play AVI on iPhone 5S/5C and iPhone 5, you need to convert AVI to iPhone compatible format. Here is the tutorial share with you. 3. 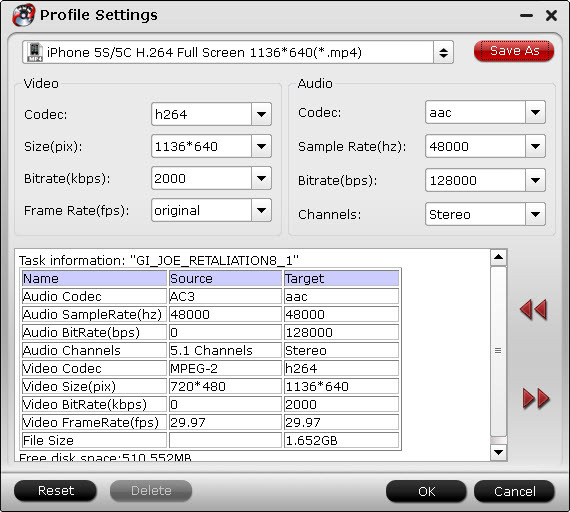 Has extra functions to facilitate common personal video processing during converting AVI to iPhone 5S/5C and iPhone 5 videos, including video part trimming, black edge cropping, add special effect, add watermark, add subtitles, etc. 4. Also realized in Mac version – iMedia Converter on Mac. Get a free trial and follow the guide to convert AVI to iPhone 5S/5C/iPhone 5? Step 1. 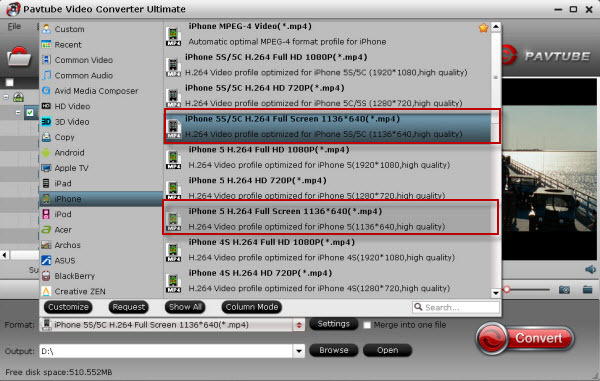 Run Pavtube Video Converter Ultimate as the iPhone AVI Converter; import AVI videos. Click “Add video” to import source avi videos. Click the drop-down list besides “Format”, select select iPhone 5S/5C H.264 Full Screen 1136*640(*.mp4) from “iPhone” option as the best profile for iPhone 5S/iPhone 5C. For iPhone 5, pls choose “iPhone 5 H.264 Full Screen 1136*640(*.mp4)”. Of course, you can select other profiles as you like. Click the pencil-like icon on top to enter Video Editor interface. 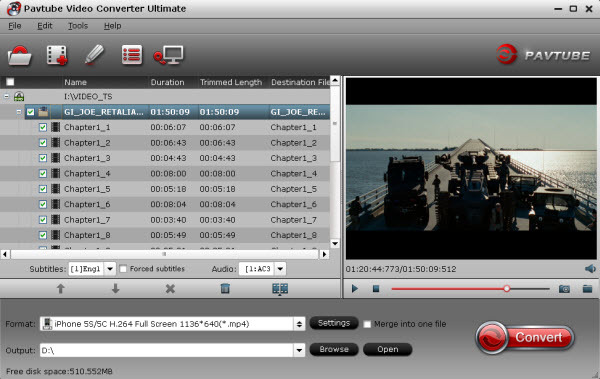 You can choose to trim, crop, watermark, effect, audio or subtitles before conversion. Back to main interface, click “Settings” to customize video size, frame rate, bitrate and other settings. 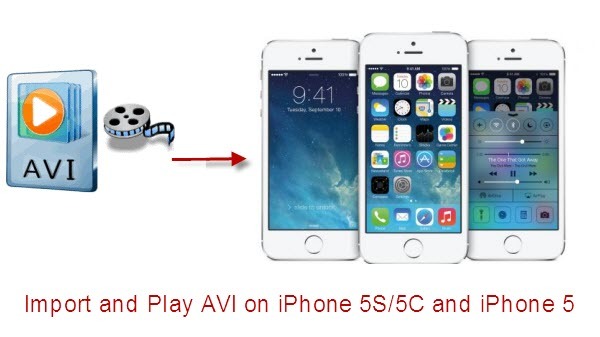 Click “Convert” to start converting AVI to MP4 for iPhone 5S/5C/5. Wait for a few moments, and click “Open” or “Open output folder” to quick locate the converted video. Step 5. Transfer the converted videos to your iPhone iPhone 5S/5C and iPhone 5. Now add converted files into iTunes library and you can easily sync them to your iPhone for playback. So there you have it. Pretty simple! In this way, you can effortlessly play 1080p/720p AVI videos on Apple iPhone 5S/5C and iPhone 5 as you like. Also read how to play4K Video on iPhone 6 Plus, undeleted lost contacts from broken iPhone 5 and backup iPhone to avoid photo leaks.